The prospect of a 3½ hour drive across the desert is not exciting. The landscape is only endless sand. It stretches to where the horizon meets a sky that is the same shade of yellow. As we drove away from Riyadh for a weekend in Bahrain someone suggested a game of ‘Count the Camels.’ No one took the offer up. After a long day’s work, I, for one, was keener to sleep. Our driver, Hasan, was a small man who crouched awkwardly over the Armada’s large steering wheel. His round face, thick glasses and protruding top teeth reminded me of a childhood picture of the three blind mice. Blind indeed. At speeds of 170km he often veered alarmingly across the road. Three speed cameras caught us as we flashed past. Cars, seeing us approach in rear vision mirrors, rapidly moved lanes. At Khobar we cleared customs and immigration and headed across the causeway to Bahrain, all in record time. Speed seemed to be a common theme. 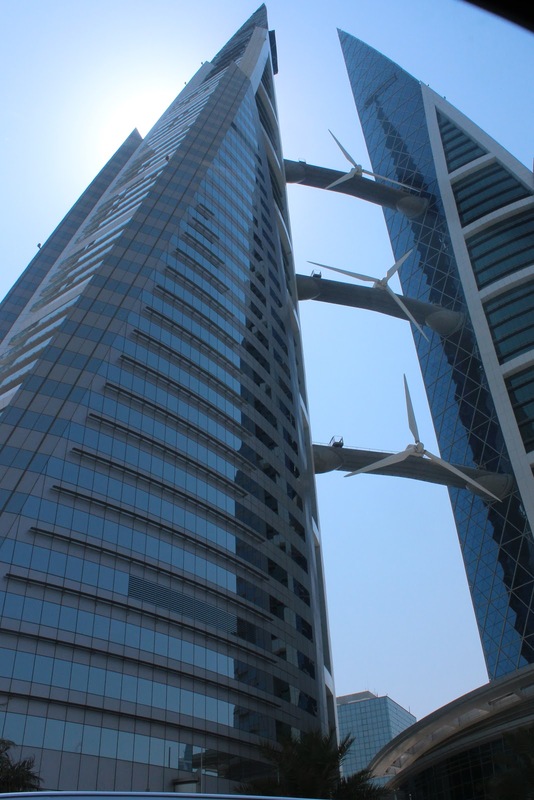 Bahrain – after a good night’s sleep – was a welcome change from Riyadh. For a start I could bury my abaya in the depths of my case. Then there was breakfast with pork sausages and real bacon. None of the turkey bacon or beef bacon that parades as the real thing in restaurants in Riyadh. And in the mall attached to our hotel there were shops with women serving behind the counters and changing rooms where you could actually try clothing on. Oh the difference! But some things were the same. There were abaya-clad women, perhaps visitors from Saudi, and there were shops selling abayas. Upstairs I walked past one with an elaborate gold and black creation in the window. Musac floated out the open door, “She is so beautiful to me…” droned the voice. 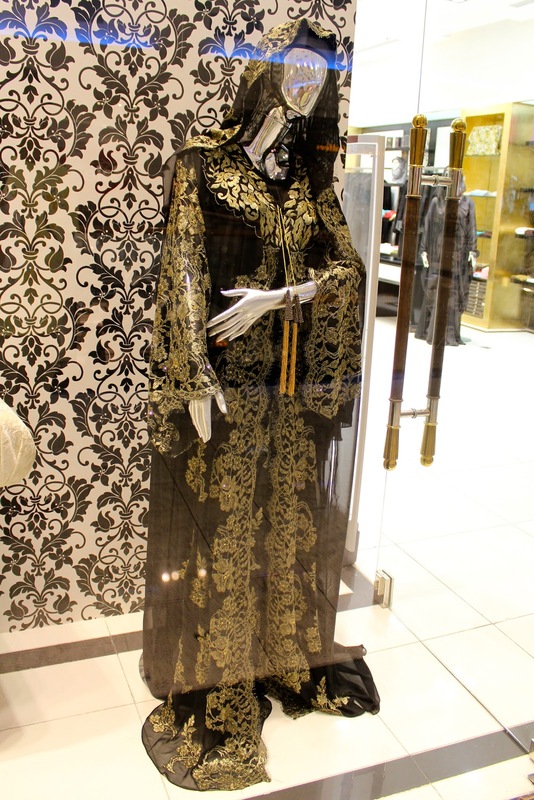 In another shop a woman in a long abaya trawled through a rack of clothing. Her small son created his own entertainment. Jumping onto the trailing end of her gown, he waited for his mother to try and take a step forward. Later in the afternoon we had another ‘no longer in Riyadh’ experience. Movies with maximum splatter attracted whole families. They were all there together, wives, husbands, toddlers and babies who cried and grizzled most of the way through. When they all left at the end, the place was awash with remnants of popcorn, discarded bottles and sweet wrappers. A contingent of men waited outside with an array of brooms and plastic buckets in shades of pink, blue and yellow. Outside the city was not unlike Riyadh. There were mosques, a souk and the usual austere modern buildings. We passed down streets lined with small shops selling carpets and antiques on our way to a supermarket, which we knew sold pork and bacon. Later that afternoon we left for the airport.